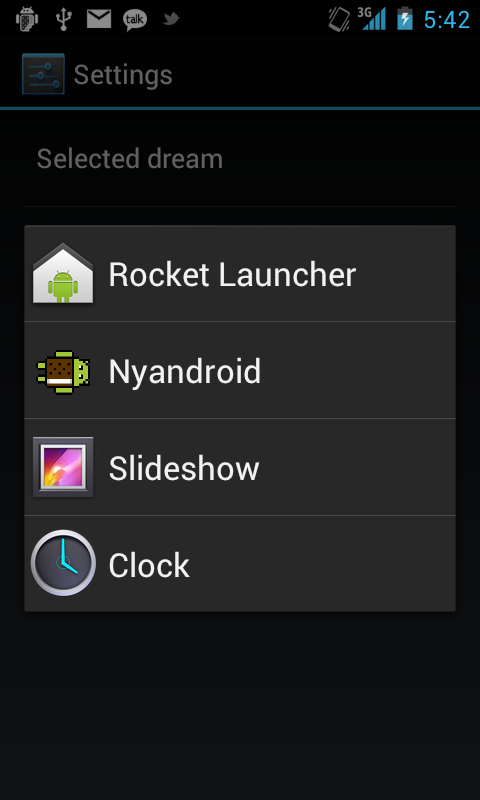 Apparently, this and Nyan Droid are both part of a new screensaver feature Google called "Android Dreams" that was disabled by them before Ice Cream Sandwich was released (presumably because it wasn't ready for prime time yet). 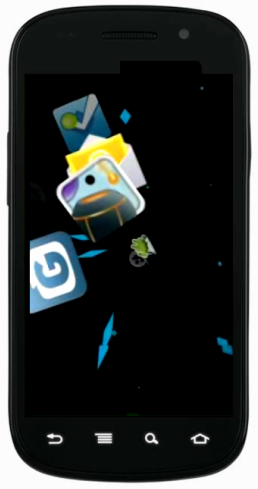 Here is a picture of the re-enabled feature in CM9, courtesy of Steve Kondik who stopped by our G+ post. 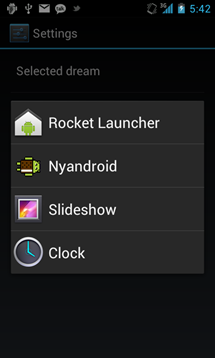 We're not sure whether what you're about to see is yet another Easter egg in Ice Cream Sandwich (remember the Nyan Droid?) 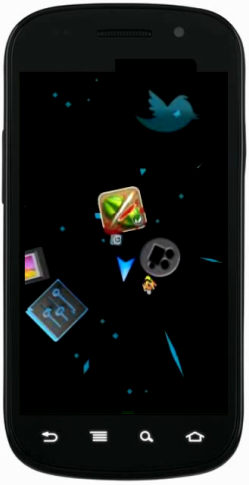 or the next amazing launcher that will do your dishes and fly you into space, but it turns out the stock ICS launcher actually has another launcher buried inside. 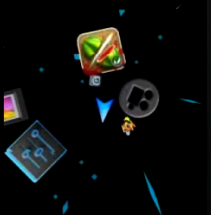 Named Rocket Launcher (not to be confused with Rocket Launcher), this Star Wars-like icon flinger is hidden from the regular app drawer straight up Aliens-style, and the only way to fire it up is to utilize a special method of calling an Android Activity by its name (in the video below, the presenter uses Launcher Pro's Activity shortcut). Useful? Far from it. Silly and fun? 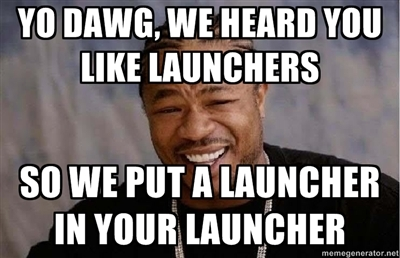 By all means, and that's the way we like our Google Easter eggs.